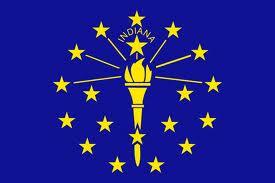 Whitestown is a small town of town in Boone County, about 22 miles northwest of Indianapolis. Established in 1851, its population was 471 at the 2000 census, and probably well over 500 in 2010. The common belief is that the community was named for Albert S. White (1803-1864), a U.S. Senator, U.S. Representative and occasional railroad president, who lived much of his adult life in Lafayette Indiana and in Stockwell, Indiana. Dude was elected to Congress in 1836, and then ran for and won a Senate seat in 1838. After one term in the Senate, he decided not to seek re-election. After some lawyering and some railroad presidencies, he was elected to the U.S. House again in 1860. Again knowing that one term was enough. (listen up, current politicians), he came back to Stockwell and was a judge for a year+ before his death. Anyhow, that’s plenty good enough to have a town named after you. Today, Whitestown is on the edge of some very exciting growth. While in the past, it’s been mostly rural and agricultural, it’s ready for more. Development is underway for a 1,700-acre community called Anson. Anson will be home to residential developments, office, healthcare and retail. Along I-65 between State Road 334 and State Road 267, Anson could eventually account for 20,000+ jobs and as many new residents to this sleepy little Midwest town.